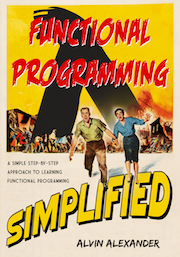 I was told recently that my book, Functional Programming, Simplified, would be a great Christmas/holiday book gift idea. So if you happen to be looking for gift books for programmers this season, please check it out. If for some reason that idea doesn’t work for you, you can also search Amazon for gift ideas.